The original version of this article, by Josh Wood, appeared on The New York Times. Once highly dependent on revenue from petroleum sales, the Syrian government has lost control of many of the country’s major oil fields over the past few months as Kurdish forces and the rebel Free Syrian Army have made significant gains in the east. For some rebel units, captured oil could pay for weapons. For the Kurds, it could furnish greater autonomy. Syria was never particularly known for its oil wealth. In a region that is home to many of the world’s largest oil producers, Syria’s 2.5 billion barrels of proven reserves were far overshadowed by Saudi Arabia’s 267 billion or neighboring Iraq’s 115 billion. But to the Syrian government, oil was a way to help balance the books. 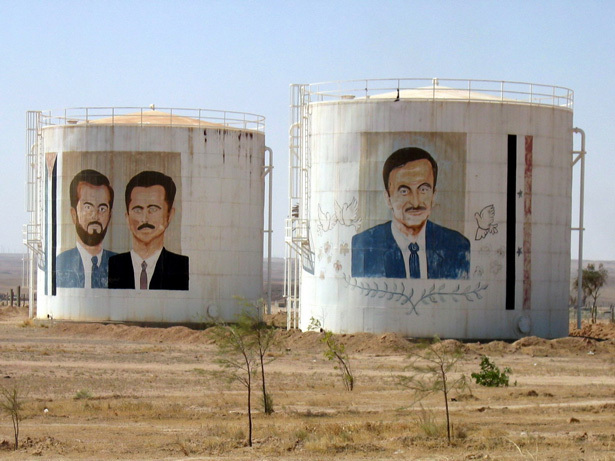 Photo Credit: Oil tanks near Dayr az Zawr, courtesy of flickr user Richard Messenger.